Are you a stressed out new leader struggling to reach organizational goals or a frustrated follower trying to improve your happiness at work? My “Get Out of Crisis” program will help you get unstuck. I coach stressed out new leaders and frustrated followers. As a new executive leader, do you find yourself dreading the task of organizing your team or dealing with problematic team members? Are you finding it difficult to stay on top of deadlines and deal with a seemingly endless stream of issues that interrupt your day? As a frustrated follower, do you live for Friday and get a knot in your stomach on Sunday night? Do you feel that your skills and talents are being taken for granted and that you are being diminished with each day that you must spend with this difficult leader? Your life doesn’t have to be this way. The reason you don’t have a feeling of satisfaction now is that you’ve failed at setting expectations and boundaries in your work relationships. This is where my “Get Out of Crisis” program comes in. It’s all about setting expectations and boundaries in work relationships, as a leader or follower. We will assess your leadership style and systematically prioritize the things over which you have control and eliminate those you don’t. Then we figure out how you can spend your time on what really matters. After working through my program, clients will experience a sense of encouragement and gratification that comes from knowing they can make a choice to have a positive impact. They will identify actions that go to the heart of getting results and satisfaction. I am a leadership coach, nonprofit professional and author with over 20 years of experience in nonprofit management in various leadership roles including Founding Head of School. I received my B.A. in Communication from University of Central Florida, and MBA from Hodges University. I can help you to navigate work relationships, strategy and innovation sessions, team building, human resource issues, fiscal and budgeting considerations, and issues surrounding working with a micromanaging leader. Contact me! I would love to partner with you on the road to success! Have you worked with Jacqueline? Tell your friends! 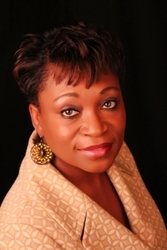 Jacqueline is THE go to person for leadership and performance coaching. I found the advice and ideas shared to be extremely valuable and I was able to express myself without judgement. She was instrumental in coaching me through many difficult challenges that occurred in my department at my previous employer. I would recommend Jacqueline unreservedly. Before I started working with Ms. House, I was having great difficulty with the owner of the nonprofit for which I worked. I felt unheard and weary of the many demands, and unappreciated for the ideas and creativity I brought to the team. Ms. House helped me to understand what was most important for my professional growth. She helped me focus on the issues under my control, served as a listening ear and role play partner for difficult conversations, and held me accountable to complete my plan of action. If you are looking for a compassionate coach who can help you get results, I would recommend her wholeheartedly. - Candace W., Program Director, South Florida. Integrity as a leadership quality is invaluable and irreplaceable. A leader without integrity will end up in unsavory places with an unmotivated team. As a leader it's your job to make your team shine. Making the team shine is not about telling them what to do but about successful collaboration.